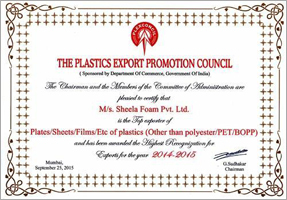 After completing a long journey rife with challenges, we, Sheela Foam Ltd. have successfully acquired the top most position in the industry. 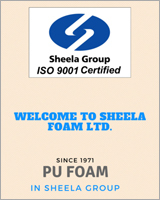 As a prominent manufacturer and exporter of Sofa Sets, Bed, Polyester Foam, Polyurethane Foam, Mattresses PU Foam, PU Foam, Memory Foam etc. we have earned respect from numerous customers in our country and many foreign nations. Today, we are catering to the needs of many major companies across the globe. Our clients are highly satisfied by our services as we cater to their needs with complete dedication. They observe that we are eager to see them satisfied and pleased for which we strive day and night to improve our services. In the domestic as well as international markets, our brand is famous for its quality as well as affordable prices today. Our clients know that we keep their interest above our personal needs and think of them first. Increasing sales and marketing is not our first priority, instead our foremost priority is to fulfill the requirements of clients appropriately. Apart from our high quality product range, we are famous as an honest trader with an appreciable work history. For us, the reputation of our company is one of the most important things, and to keep it high we work very hard to stay at our formidable position.